No matter which car you own, regular formats of cars or sports car you need to follow certain precautions that are recommended by almost all the car manufacturers worldwide. To follow these precautions strictly is pretty much essential not just for the sake of your sports car long life but for the sake of its performance for lifetime as well. 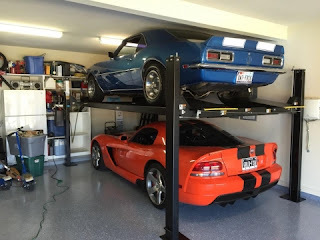 There were few points that had already being mentioned to n previous article for taking care of your sports car but in this article, you’ll read and learn about the points that you really need to avoid in your new sports car. 1) Use your throttle with care. 2) Don’t switch gears quickly and randomly. 5) Don’t delay your first service. Even though full throttle gives adventure and performance but this needs to be taken care to be taken off, like for the most of the sports cars manufactures ask their buyer to avoid giving a full throttle to their new sports cars. Well, you can always go for full throttle mode after the first services or few hundred kilometers. The reason to ask you is that most of the time there is a lot of gas to be passed in the engine so sometime if you go with the full throttle there may be a loss of power or some other malfunction in the car. This you must be avoided no matter you’re driving a regular or sports car as you must use the gears very smartly. Most of the guys just start misbehaving with the gears and trying to show off so try not do that. One may damage the gear box in process. Mostly sports cars come up with 2 seater formats so there is no chance overloading or so. Most of the sports are designed and developed in such a manner that you can take them straight to racing tracks and start going crazy with them, but there is always cruise mode in this car that can be used for a different mode. This is mention in most of the manual that you should avoid any sort of overloading for the first few thousands of kilometers or so. Certainly, you are not doing this for sure, but in case you have second thought then you must avoid this task. Your sports car engine will have to take a lot of extra pressure while towing a car and when it's new then you must avoid this. One can always go this after a 2000 km of your sports car. Mostly the first service is to set on 5000 – 7000 km for the sports cars but most owners get reckless and get it after 10000 km, this should be avoided. The performance of the sports as most of the time they fix and checked on the major issue that is related to engines when the spots cars come first for their services. The first service of your sports cars is pretty much like the vaccination of your newborn baby so be serious with too. In the end, I would like to say that you must follow the points that you need to avoid in your new sports cars and take care of your cars so that they can take care of yours in return. Be safe and drive with a lot of fun with your sports cars. Sports cars are basically emotions for players so don't be kidding in the the case of buying cars. I heard a news about a seller's cheating during selling his car on Nexter Website. To aware yourself keep reading global news on https://nexter.org/.